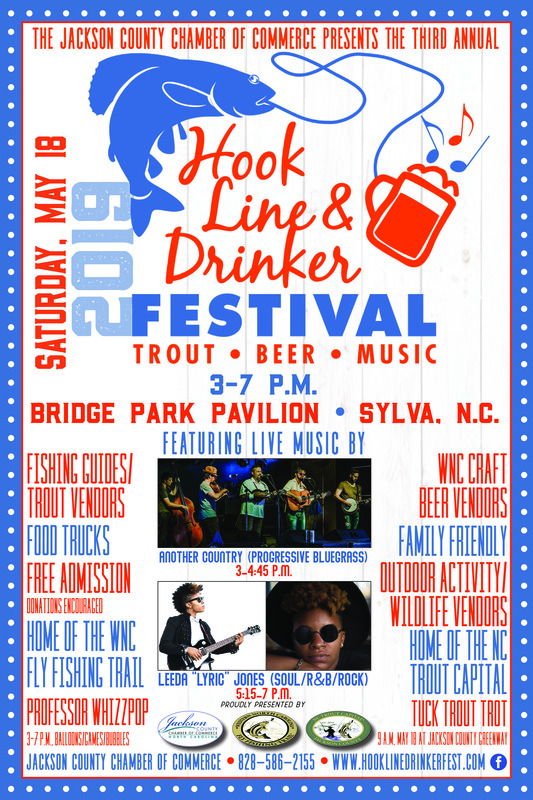 The Jackson County Chamber of Commerce will present the third annual Hook, Line and Drinker Festival on Saturday, May 18, 2019. 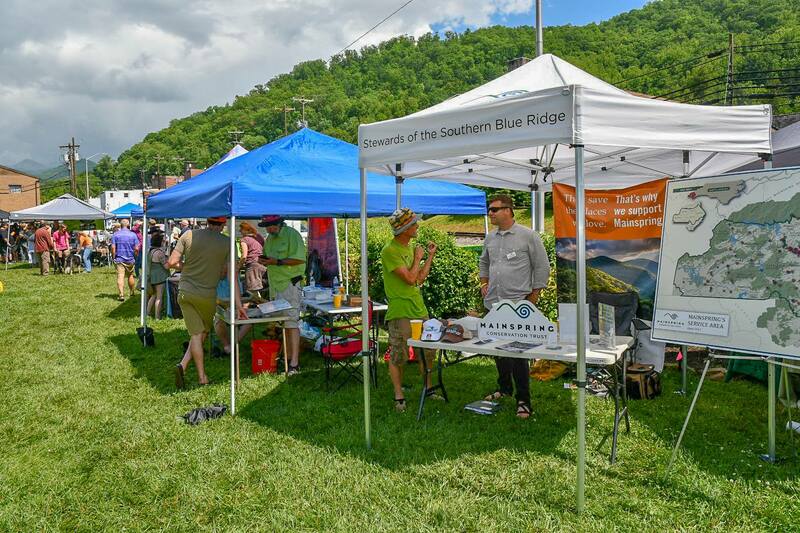 The event will be held from 3 until 7 p.m., at the Bridge Park Pavilion in Sylva, N.C. 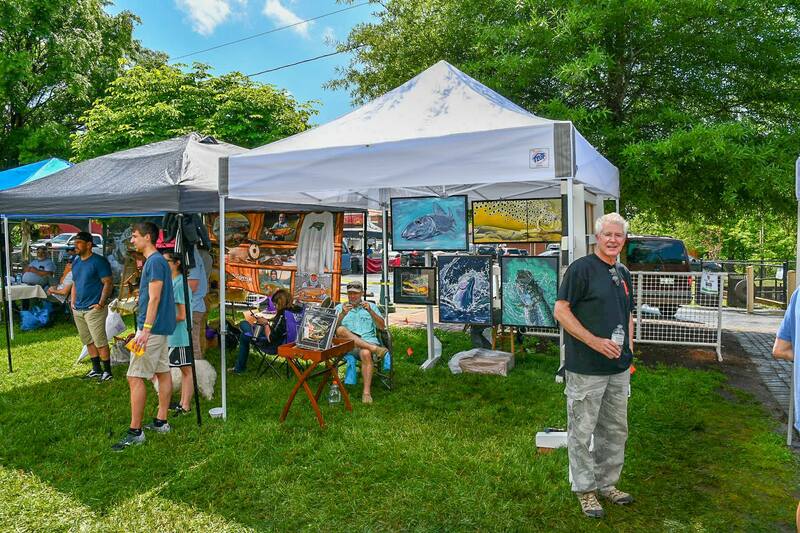 The festival will feature fishing guides and fishing industry vendors, food trucks, children’s activities, live music, and craft beer vendors. 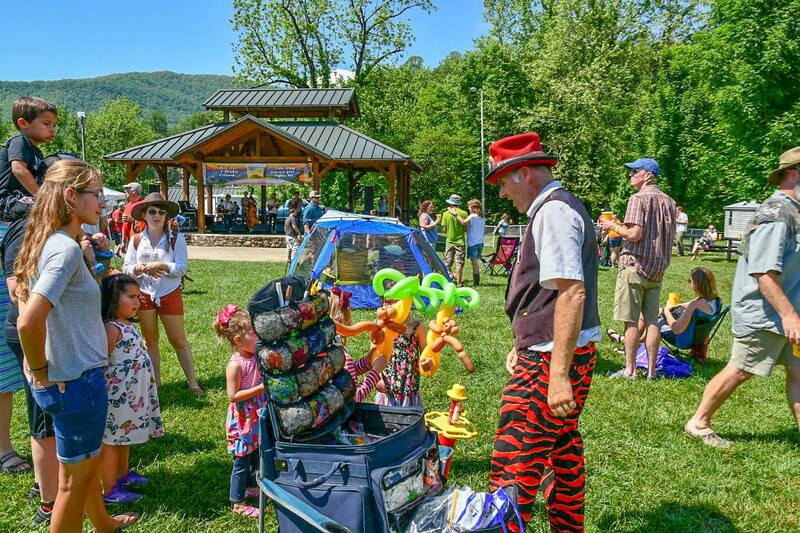 The second annual pre-festival Tuck Trout Trout fun run/walk will be held on Saturday morning, May 18th at 9 a.m., at the Jackson County Greenway in Cullowhee. To register for the event, please click HERE. 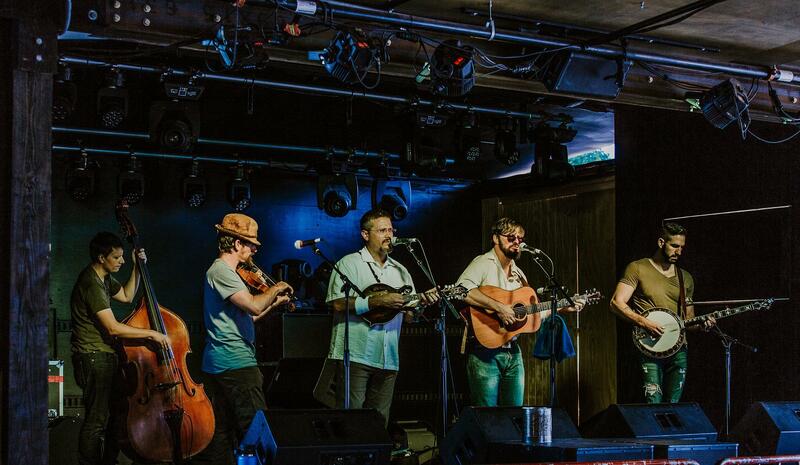 Admission to the family friendly festival on Saturday, May 18 is FREE with donations encouraged. 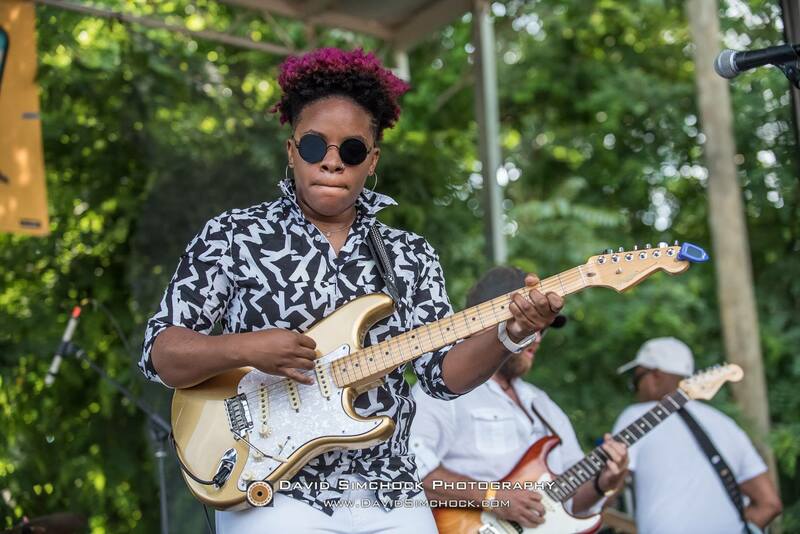 This year's music lineup will feature progressive bluegrass by the band Another Country from 3-4:45 p.m., followed by Leeda "Lyric" Jones performing soul/R&B/rock originals and favorites from 5:15-7 p.m.
Reusable Hook, Line & Drinker souvenir cups will be available for $5. 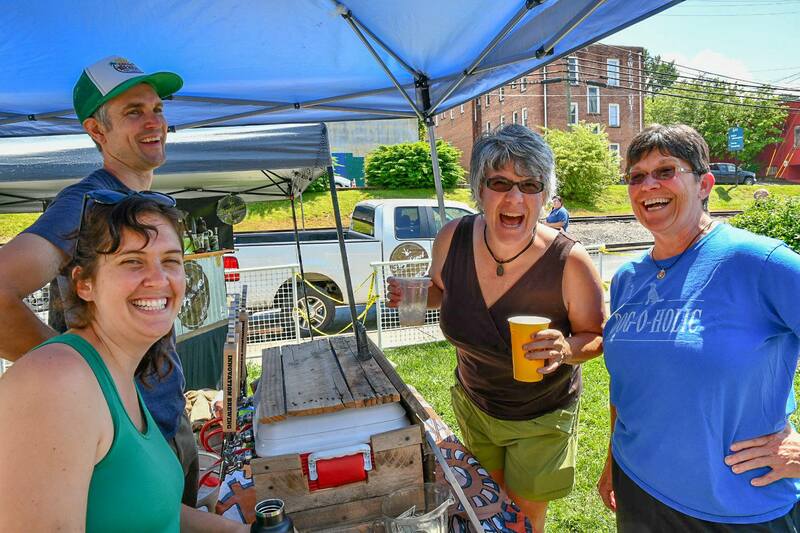 Souvenir cups are required to make craft beer vendor purchases. 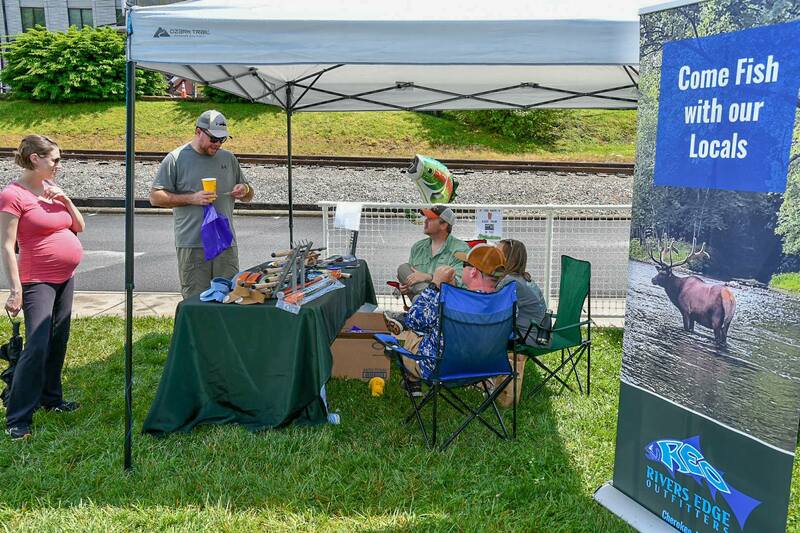 A portion of net proceeds from souvenir cup sales will benefit Trout Unlimited's “Trout in the Classroom” programming for 2019-2020. A special cup and T-shirt combo will be available for $20. 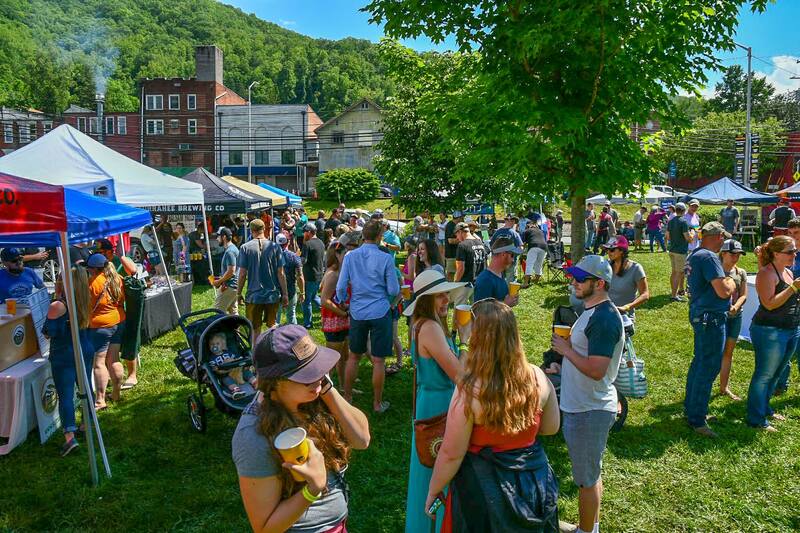 We are proud to welcome the Sylva Police Department and Freedom Taxi to the festival as well. 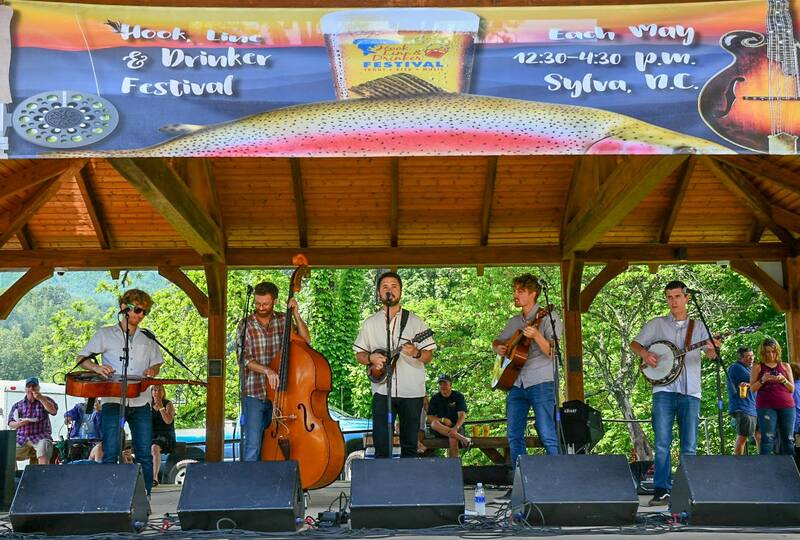 ​For more information, please visit the website at www.hooklinedrinkerfest.com, call 828-586-2155 or visit the festival's Facebook page HERE.